Can philosophers, or anyone, tell us what is “right” and “wrong”? It’s no secret philosophers and scientists sometimes seem to be in conflict. I’m not talking about philosophers of religion (there are epistemological grounds for an inevitable conflict with science there). No, I mean philosophers in general. And the conflict usually involves claims being made about the respective roles of science and philosophy. A sort of professional demarcation issue. Massimo Pigliucci often seems to go into battle on the philosophers side. I often think this reflects his own sensitivity to any real, or perceived, criticism of the role of philosophy. For example, in his recent article Michael Shermer on morality he referred to the “simplistic dismissal of philosophy a la Harris-Krauss-Hawking.” He seems to be reacting to provocation! I interpret this to mean that it’s OK for the relevant scientist to investigate morality in their area of speciality – evolutionary psychology, cognitive biology, etc. But when it come to actually using logic, doing ethical reasoning, that’s the job of the philosopher, in particular the moral philosopher. 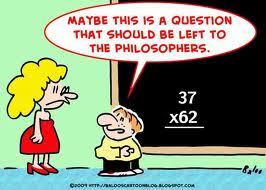 Must we always rely on philosophers for logic? On the surface that seems reasonable – specialists have their speciality and non-specialists should defer to the specialist when considering relevant areas. Mind you, I don’t accept that reasoning and logic are the exclusive domain of philosophers. Science does involve reasoning and logic – even in highly developed forms like mathematics. We in fact receive a certain amount of training in such areas as part of a science degree. Consequently a chemist, physicist or biologist may be quiet proficient at applying mathematics in their area. Although the wise individual recognises their level of understanding and will involve the mathematical specialist if they feel it necessary. In my own research I always involved statisticians – and while I often carried out my own statistical tests I always checked later with a statistician. And in ethical areas – how complex is the logic involved? Does one have to be able to express each proposition in the appropriate academic notation and be aware of all possible transformations before one can decide, on the basis of the facts and one’s values what is “right” and “wrong?” How would the “person in the street” react to that suggestion? 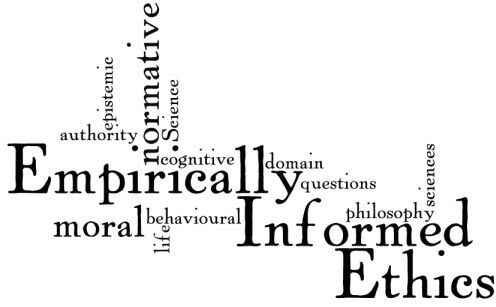 Who does the lay person trust on moral questions? I am very sceptical of any group claiming for itself a special role on moral questions. And I don’t think that attitude is unusual. When it comes to decision making in social and ethical areas these day I think the individual herself usually wants to be involved. They won’t automatically just rubber stamp decisions made by specialists – scientists or philosophers. Take climate change. I think most members of the public actually do accept what climate scientists say about human influence on the planet’s climate. After all, a lot of effort and money has gone into the research. It has been reviewed extensively, there is a wide scientific consensus about the science, and honest awareness of gaps in knowledge. And the conclusions are conservative and usually presented moderately, with scientific qualifications. But the climate scientists do not tell us what we should or shouldn’t do politically. Their science informs our decisions (and the decisions of our governments), but it doesn’t determine them. Economic specialists will also have input into recommendations for mitigation of, or accommodation to, climate effects. They will also inform. And while governments and democratic institution in each country make the final decisions on any resulting plans, we all expect that we should have the ability to influence those decisions. I think this is even truer on moral issues. In the end morality concerns individuals and their actions. We insist on making those decisions ourselves. And especially in this sort of area our decisions and actions are not based only on evidence or logic – inevitably our emotions and value judgements are involved. So we are understandably not happy about any suggestion that others, specialist or not, make those decisions for us. So scientists can inform us regarding moral issues. They might give us facts – like when neural activity is present in a foetus, do animals feel pain, is sexual preference innate or learned, etc. But its up to us to use that information when we make decisions on moral questions like abortion, factory farming and eating meat or marriage equality. And we insist that this final decision is for us alone – not the scientist. I think we would have the same attitude toward the moral philosopher. We might listen to their reasoning (if they communicate it properly), maybe even take it on board, but will still make the final decision ourselves. Because that decision involves far more than the scientist’s evidence and the philosopher’s logic. It also involves our own values and emotions. 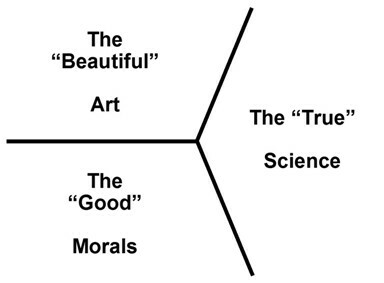 * It has become fashionable to criticise Sam Harris’s book The Moral Landscape: How Science Can Determine Human Values because of its probably over-optimistic predictions of a future role of neuroscience in moral decision making. However, I think there is a lot of “throwing the baby out with the bathwater” here. The main purpose of Harris’s book was a strong (and some would say overdue) criticism of moral relativism – and this is often ignored by his critics. The organisers of the 2012 Global Atheist Convention in Melbourne have announced that tickets will go on sale from September 1st. If you are planning to go I recommend an early purchase as they did sell out quickly last time. And successful as the 2010 Convention was this one is shaping up to be even better. Convention organisers are announcing confirmed speakers one at a time – The latest is Ayan Hirsi Ali who is certainly going to be a crowd drawer. She is one of my heroines. Photos of the other speakers so far announced are below. Click on the individual photos to go to their details. A non-theist feast down under! Dawkins, Dennett, Harris, Hitchens have been announced as speakers. (And have a look at the last sentence – a breakthrough!). The Global Atheist Convention will be held once again at the Melbourne Convention and Exhibition Centre from13 – 15 April 2012. The 2010 Global Atheist Convention gave local, interstate and international attendees the opportunity to hear first-rate speakers from a range of fields including science, philosophy, politics, education, stand-up comedy and more. ”Atheism has provided the perfect foundation in which people can come together to celebrate science, reason and secular values in today’s society. With the planet in a state of organised chaos and the menace of religious extremism threatening everyone’s quality of life, this 2012 world-class event will once again provide rational discussion and debate about what can be done to address the issues facing the globe,” said Nicholls. The entire line-up for the convention will be released gradually via official social media streams in the lead-up to tickets going on sale later in the year. The last convention sold out well in advance, leaving many people disappointed to have missed out. The Atheist Foundation of Australia expects this event will also sell out very quickly and encourages prospective attendees to purchase their tickets as soon as they go on sale. The Atheist Foundation has succeeded in obtaining financial support from the Victorian Government for the convention.